Today was another drowsy, hot summer day. 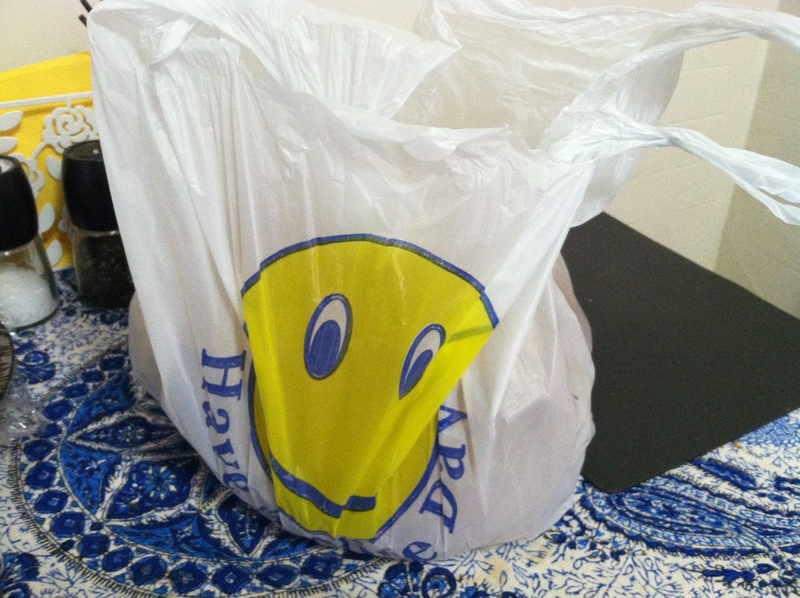 Mom and I walked around the neighborhood buying household items and containers for all my food, plates and cutlery. We've recently been hit with a small cockroach infestation in the kitchen, so everything needed to be covered and cleaned up (no wonder I found these little black droppings everywhere!). We got back around 11am and for some reason I was so tired that I fell asleep for an hour. Mom woke me up and rushed me to get some lunch. So we went around the block to Los Amigos, an authentic Mexican joint underneath the subway. It was pretty quiet there, with only 3 tables. Since we had a lot of chores to finish at home (you can guess who's doing most of the work), we got some food to-go. Mom wanted some kind of seafood, so we ordered the Bluefish a la Mexicana. But it wasn't available, probably a seasonal thing. 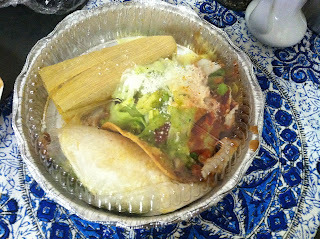 So I got the combination platter with a tostada, tamale, and chicken taco. The food arrived a couple of minutes later. Eyeing the couple munching on chips n salsa, I really wanted to ask the waitress for a serving. But I figured that was for sit-ins only. So I got my food and left, lingering for a while with a puppy-dog look longing for the chips. The serving size was huge for one person. I've never been able to come to terms as to how large American portions are. It also came with a serving of rice and beans. It was already getting pretty late into the afternoon as we got this, so I dug right in. The rice was perfectly seasoned and cooked to the right degree to chewiness. This complemented the mushy (for a lack of a better word) refried beans nicely. 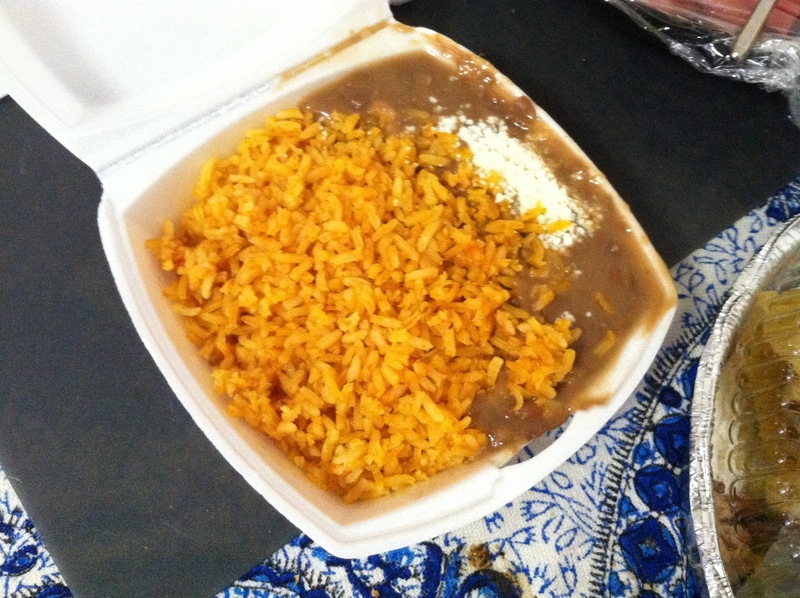 I figured the white stuff inside the beans is cheese, which you can't really taste after a while. The tamale was a little bland, but it tastes fine if you dip it in the beans. But the fried tortilla shell in the tostado was a little soggy underneath the bed of avocado, tomato and lettuce drained with hot chili sauce. It was a little too spicy for my liking, so next time I'll probably ask them to hold the sauce.